We’ve got more sci-fi goodness to share on this fine WonderCon Saturday. 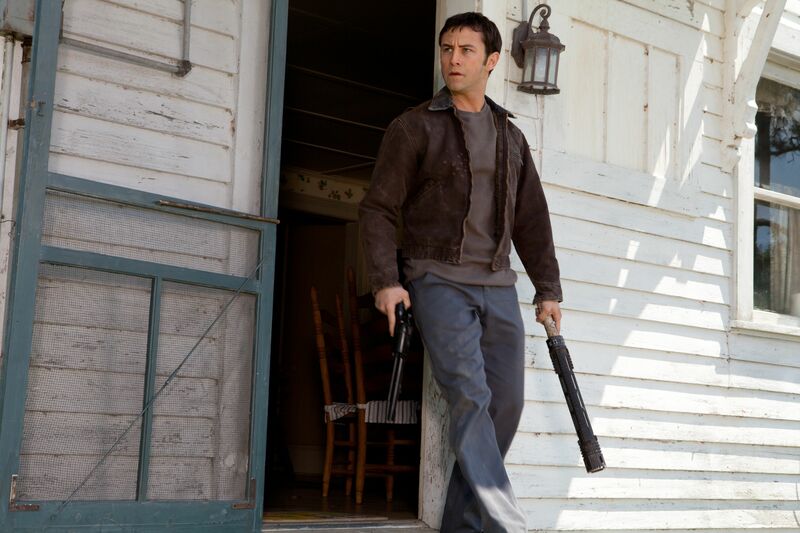 Director Rian Johnson premiered the trailer for his new sci-fi film Looper at the film’s panel earlier today, and while the rest of us will have to wait a little while to get a peek at the film in motion, a couple new images have gone online to tide us over. The futuristic thriller takes place in a world where time travel exists, but is only used on the Black Market. When the mob wants to kill someone, they send the target 30 years into the past where a contract killer (Joseph Gordon-Levitt) does the dirty work. Things are going smoothly until Gordon-Levitt’s future self (Bruce Willis) is sent into the past to be killed. These images show off the subtle makeup used to make Gordon-Levitt resemble Willis, and I’m very impressed. Johnson’s previous films—the noir drama Brick and the quirky con man story The Brothers Bloom—are splendid, and I can’t wait to see him take on the sci-fi genre. Hit the jump to check out the images, and be sure to look for our full write-up from the film’s panel later tonight or tomorrow. The film also stars Emily Blunt, Paul Dano, and Jeff Daniels. 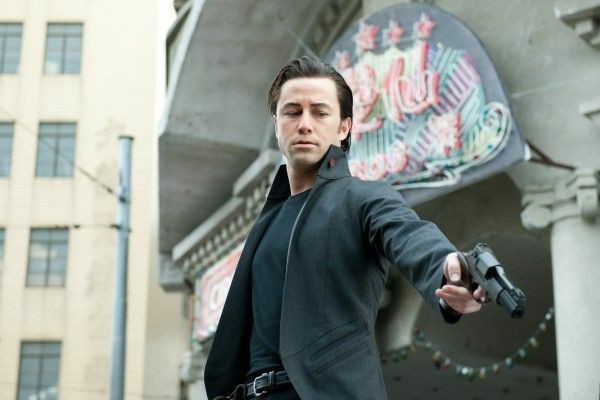 Looper opens on September 28th.